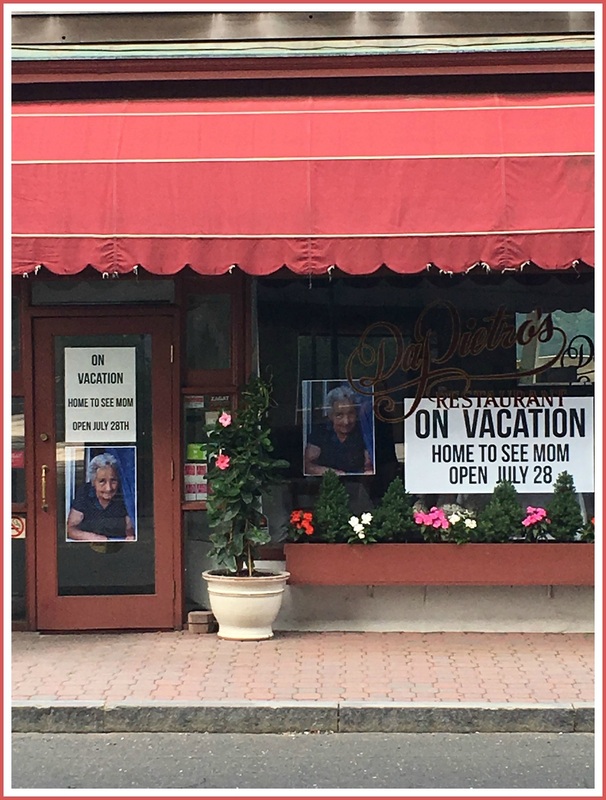 This entry was posted in Pic of the Day, Restaurants and tagged DaPietro's restaurant. Bookmark the permalink. We love their food… hidden gem in Westport! Arguably, the best restaurant in town. Just drove by this tonight and had to laugh! Enjoy every sweet moment visiting your mother, Pietro! We can’t wait to come back East to enjoy the best dining experience in Westport, and hear about your special time!